To leave a Review or Comment, use Email and in Subject Line write "Review"
Lance, Your Shims are The Best!! Got my springs for my Ruger this morning. Amazing. Ordered early Saturday morning from Michigan and got here in Pennsylvania Monday morning. Installed early afternoon today and now have a nice 3lb trigger. I'm sorry but I'm an old guy and I don't participate in social media but I'm very active in our local shoots ( and we have a lot of those ). I'll be spreading the word about your excellent service and I'll also be ordering from you in the near future. I don't usually write reviews or respond to vendors but your family business appeals to me and my fellow shooters will be made aware of your services. Thank you. Woody p.s.- you may gladly use this email as a 5 star review! I am 70 and very “old school”. When I find an item that ships fast – fits well – and I can count on, then I don’t switch or shop. Thanks for the service with all my previous orders. I do not see ever switching. Your products flat work. They're built right, work great, and the price point is good. I especially like your installation videos. Thank You from an old Marine. Just placed another order with you for a VQ and shims for a new Ruger 77/357. I have used your products in my GP100 and Single 7.....they are perfect and your video instructions make them easy to install, correctly. Here's one thing I have done in the past with the shims and thought I'd pass it along to you. I follow your advice and hone the shims using a porcelain stone I have from Spyderco....as a knife collector, I have to say these stones are the best of any. I use the 'fine' stone followed by the 'ultrafine' one. After that step I then lightly paint both sides of the shims with liquid Brownell's Action Magic, which I also use on the sear, hammer pin, and other moving parts after polishing them. Thanks for your great products, the super clear instructions, and your patriotism. I just wanted to thank you for your shims for my Ruger Redhawk. I was able to install them in just a few minutes, thanks to your instruction video. Before the installation the hammer had some buff marks from rubbing against the frame and there was some obvious drag during trigger pull. Even though I had polished the sear surfaces, it still wasn't as smooth as it could be. After the installation, the trigger pulls, both single and double action were like glass. I was concerned about the fit, but again I followed the measuring instructions in the video and the shims you sent were a perfect fit. I wanted to send you this note and let you know how Alan and I made out with your shim and spring kits, We were both very happy with the outcome. Alan purchased a brand new Ruger Redhawk .44 MAG and I bought a used Ruger Redhawk .44 MAG. On both guns we polished various surfaces, staying away from the sear etc. On his new Redhawk he did not use your trigger shims because from the factory it comes with bosses on either side of the trigger. On both guns we chose to go with your 14lb trigger spring. I never would have thought I could mistake the trigger pull of a Ruger for that of my S&W Model 19 or Model 57, but after using your kits I can say that's the case. Thanks for your products! I'll be singing your praises to the folks at the range. Thanks for a Great Product! The one spring Ruger Redhawk 45 Colt is a bear to smooth out, FTF is common and heavy hammer is normal. I installed your shims as needed by measurement and they are true to size every time. I shimmed the cyl, hammer, and mainspring lever. Installed a 13 lb. mainspring and now I have an action equivalent to a Smith & Wesson that I can rely on, FTF is history, double action is great, all due to shimming to align the moving parts. Keep up the great work. My first kit went into a 3 screw .41 Mag Blackhawk (converted). I used the 17 pound spring which resulted in a flawless 2 pound, 6 ounce trigger. The shim kit was great too. It really took the slop out of the hammer and eliminated the scuffing the hammer gets from the frame. Your video was very helpful and is much appreciated. The new kit will be going into a Lipsey's Bisley Flattop .44 Special, which currently has a factory trigger pull of 3 pounds 8 ounces. If it turns out half as good as the .41 Mag I'll be tickled! You have a loyal customer in me. Lance, I wanted to say that it would be fantastic if every company took as much pride and care in their product as you. Your assistance and quick responses are much appreciated. The Trigger Shims I purchased and installed in my Ruger Blackhawk have drastically improved quality of the action. And your YouTube videos were an invaluable source of "How To" instruction. Hello Lance, I am Really Happy with your Kit, It was a Pleasure to Install, and works great and will pass on your info to my family and friends. I received my bolt, shims and volquartsen sear in the mail today and installed the shims and sear. I appreciate you installing the wolff spring. I test fired the 77/22 today and what a difference it made. My groups are now under an inch at 50 yards, and are mostly under or right at an inch at 100 yards, and that is with cheap ammo. I could not be more pleased with your products, service and installation. I highly recommend anyone who wants to improve the accuracy of their 77/22 Ruger to give your parts a try. They are reasonably priced, function great, and make a good gun fantastic. I found your website from looking up videos on youtube and a couple of folks referred me to you. I am so glad I listened to their advice. Keep up the good work. I received my shims for the Ruger New Vaquero, Alaskan .454 Casull, Super Redhawk .44 mag and Super Redhawk .454 Casull. I'm no professional smith. I can do something's more as a hobby. The shims are of great quality and fit perfectly in the listed firearms. I've had 3 revolvers done by a smith who is out of business now and I am spoiled with fine trigger actions. I've learned how to do this and have completed 4 other Smith and Wesson's. The Ruger's are the last to be done. I could not find anyone (Brownell's, Midway or other parts suppliers) that listed for the Ruger's. Maybe I didn't look in the right places. I found your site by searching "Ruger Trigger Shims ". Very glad. I will promote your site to my circle of shooters and if I'm in need of shims you will hear from me. Thanks to both you and Tammy for a terrific product. Your video explaining the use of the shims is clear and slow enough so that even I can follow it. I installed the first kit without a bit of problems and I am looking forward to installing the second one soon as I get it. Bless both you and the Mrs. and keep up the great work. Lance - I just bought the seat and spring kit from you for my Ruger 77/17 win mag and couldn’t be happier. The kit took 5 minutes max to install and I’m very pleased with light and crisp trigger pull. With your kit installed this gun is now actually fun for precision shooting. Thank You! I just finished installing the Volquartsen sear & trigger return spring, the Wolf Blitzschnell 23# striker spring and the .002 bolt shim on my Ruger 77/44. I actually started with the .005 shim and worked my way down. The .003 would work, but was just a little too stiff for smooth bolt operation. The trigger breaks crisply and very consistently, right at 52 oz. (3.25#) using my RCBS trigger pull gauge. In my opinion, this is absolutely perfect for a hunting rifle ! This also equates to about a 40% reduction from the 88 oz (5.5#) factory trigger pull !! I am absolutely elated. Your videos were a tremendous help. I had everything installed, reassembled and my bench top cleaned up and everything put away inside of an hour. I will be taking this 77/44 to the range in the near future and let you know how I make out. Finally got out to the range after installing the Volquartsen sear and spring, .002 bolt shim and the 23# Wolfe Blitzschnell main spring. Pictures are worth a thousand words. But thanks to you, I can sum this up w/ only one... ECSTATIC! 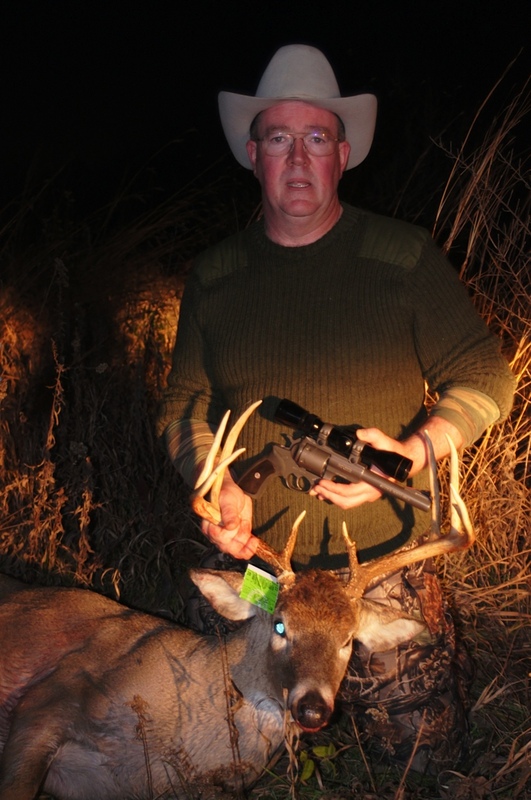 The group on the right was shot shortly after buying the rifle and mounting the Leupold 2.5 x 6 VXIII. I was impressed with the fact this rifle shot 2 different loads (WW 240g JSP & Hornady 225 FTX Leverevolution ) to near identical p.o.i at 100 yards. However, I felt this rifle could do better. After following your advice, watching your “how to” videos and installing the Volquartsen sear, sear spring, your .002 bolt shim and the Wolfe Blitzschnell 23# mainspring, this little carbine has risen to the top of the list of one of my all time favorite rifles. The groups speak for themselves. However, I wanted to let you know, you helped “morph” a really “nice to carry” hunting rifle into an honest to goodness 100 yard tack driver. Thanks again for your help and support in proving me right! Shims arrived and fitted to my wife’s Ruger .22 magnum, Thank You, first chance I have had to test the rifle. The .003 shim was perfect. Shim.002 was neat, .004 was a quite firm to close the bolt. The rifle is mainly used for round the camp and food for the pot. The groups with CCI Game Point, Jacketed Soft Point 40 grain, the bullet we mainly use since Remington 40 grain soft points become unavailable in Australia tightened up from 1.3 inch to consistently ¾ inch at 100 yards. I found your site while watching a YouTube performance enhancement video on the new Ruger 77/17 WSM 24 inch Vermin Rifle with my 16 year old grandson, a very good long range target shooter. I have since purchased one of these rifles and am waiting delivery from the states (we have to wait for everything in Australia now days). Hopefully it will be here before Christmas. 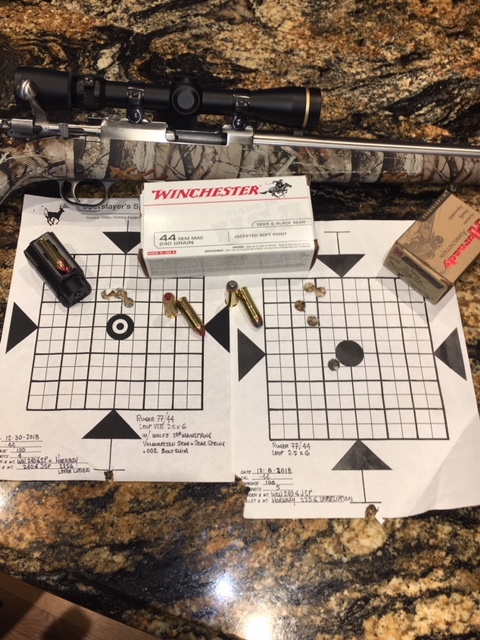 I had a Ruger 77/17 HMR heavy barrel but was a little disappointed in its performance beyond 100 yards and have passed it on to a new owner. I am one very happy customer, Thank You again and I will definitely pass the word around and will contact you again when the 17 WSM arrives if the shims that I have left do not suit. Kindest Regards and God Bless. Lance, the install in my new 77/44 took no more than 5-7 minutes. I now have about a 2 lb pull compared to the factory 6+ lbs. I noticed a very light safety contact when reassembled and I tried to put the safety on. Nothing that couldn't be overcome with a little push, certainly not excessive. I suppose a very light touch of a stone would fix the situation, but I'm not going to be hunting with it, just punching paper at my age, so it's not a big issue. It's unbelievable how much it changed the pull weight as well as being a much crisper let-off. I haven't noticed any creep either. Hi Lance, hope all is well. I just wanted to let you know what the results were for installing your Bolt Shim pack for the Ruger 77/22 Hornet. First, let me say that from the factory this great "looking" rifle was giving 12 - 14" groups at 50 yards. The best I could do was bore sight the scope as no 2 shots went anywhere near each other, if they were even hitting the target. I tried everything, barrel channel, pressure point at tip of stock and the barrel, using a torque wrench on all stock screws and bedding the action. Unfortunately nothing helped in any meaningful way. Enter your web site and your Bolt Shim kit for the 77/22 Hornet. Well I am impressed. Exactly as your video describes, there is quite a bit of slop in the bolt head, between the rear of the bolts body, and the bolt head and the chamber end of the barrel. Using the correct amount of shims to total .005" made a remarkably astounding, and INSTANTLY verifiable difference! Groups shrunk from the 12 - 14" down to the varmint usable 3 1/2". And stayed under 4" at 100 yds. Not MOA, but giving me a means to zero the scope and tweak the other things. I have no doubt that it will shoot better and hand loads will only help that. But I owe this miracle to you and your shim kit. Many thanks, you have made a believer out of me. Lance, I wanted to let you know that your bolt shims worked great for my rifle. I have had the shims for a long time but today was the first time I was able to get out and try the Hornet to see if it corrected the flyers I was getting. It worked beautifully and the groups are smaller as well. I am more than satisfied with the shims. I did another Ruger 77, a .22 RF as well. Great product. I am an old man of 86 years and I have owned that Ruger Hornet since they first came out and it was driving me nuts, I had changed scopes, sent it away to be cryofrozen and nothing seemed to work. But these shims were the perfect answer. Thank you for the prompt shipping on my order again! I finally had a chance to put the sear and spring in the rifle tonight, and it went from 4.75-5.5 lbs inconsistently, to a consistent 2.75 lbs! I will recommend your store to everyone I know! Thanks so much for your product. I have a 77/22 I bought back in 1984 new. It was trouble free for a few years and it starting getting light primer strikes and no fires. I took it to my gunsmith and he did not want to work on it so I took it to another and he had it for 3 months and he would not touch it also. That was 15 years ago....I was searching YouTube and ran across your video. (YouTube.com/TriggerShims) I thought what the heck and ordered your shims. It took me 5 minutes of tinkering and I got it figured out. No more misfires and bulged case heads! Puts 5 shots in the same hole @ 50 yds. As matter of fact I dropped a woodchuck in the back yard 10 minutes after the sight check! Hello Lance, I bought a Ruger 77-44 back in 1997. I put on a nice Leupold scope and went to the shooting range with several of my favorite loads. It shot a 12", pie plate size group at 100 yards. I was very disappointed, so I cleaned it up and took it home and stuffed it in the very back of my vault. (out of sight, out of mind). I have two revolvers that will out shoot this rifle with open sights. Several years later, I took it out and tried several more "favorite loads". It shot a nice 12" group. I then took it to my local gunsmith and had it pillar bedded and crowned and everything checked out. Back to the range for yet another nice 12" group. I was beyond disappointed. So, back to the very back of the vault. One day I was sitting at my computer and I put into Google, "Why won't my Ruger 77-44 shoot? I started reading and that is how I found you. I ordered the bolt shims and springs and installed them right along with your video. Then back to the range with my favorite loads, and WOW, was I surprised. I am sending you my best group target on that day. My group went from a pie plate to a tennis ball with your parts. Thank You for the excellent parts, video, research and information. Keep up the fine video's and great products. Our Ruger Mod. 77/22 Hornet is now shooting 5/8" groups with the addition of your Bolt Shims, Firing Pin Spring Kit, and Trigger Shim Packs. Of course, you must still work on your specific load for your rifle and have good shooting fundamentals, but your products are a very important part of the equation and without them the end result would not be fully achieved. I received the springs and shims Sat. Feb. 7 and installed them per your instructions. The quality was very good and the installation went very well. I ended up with (1) .005 thick shim between the breach block and the bolt which was just the right thickness, I tried the .005 plus the .002 but the bolt would not close. The springs were easy to install and are of much better quality than the factory springs, (ends closed and ground square). I just finished sighting the rifle in and it shoots very well, no misfires and very accurate. I would recommend this fix to anyone with the problems I have had. I do have a good friend who has a Model 77 in a .250 Savage that has had the same problem I had and I am going to tell him what I did to fix the problem. Your YouTube was very helpful and well done. I found it by looking for fixes on Ruger misfire problems on the internet. I also read the online forum which prompted me to check into your website. Again I would like to thank you for your help and assistance and tell you that I am 100% satisfied. It is a pleasure to deal with helpful honest people. I hope to do business with you again. Today I've received the Ruger 77/22 bolt shims. These arrived fast (8 days), well packaged and exactly as advertised. Thank you both for an excellent service and I would be more than pleased to recommend you to any potential customer. I'd be delighted to purchase from you again. The 77/22 Bolt Shims and Sear Spring arrived today. It took about 15 minutes to install them including re-watching the videos. Thanks for making it so easy. Got your site from a Ruger Forum. My 16 year old son installed the bolt shims and bolt/trigger springs yesterday. He watched your videos and the task was made simple and fun. We purchased the bolt tool from Brownells and I don't know if we could have done the spring switch without it. We installed (2) bolt shims, the .004 & .005. There is still some play and I assume some is required. They will certainly move the bolt face tighter to the barrel breach. I can't wait until we get to the range next week to try out the rifle. We are very satisfied with your products and service. We heard about your company on RimefireCentral.com. I used your bolt shims on two Rugers - one 77/17 HMR & one 77/22 Magnum. Did a nice job in removing the two piece bolt slop. I also recommend in stoning the rear face (bolt piece with bolt handle) with an Arkansas hard stone & use some moly grease on all surfaces during reassembly as stainless galls too easily. Question: I would like to know if you have or can make .006" thickness shims? Answer: Thank You Larry, Yes, I can make shims in .002" through .009" stock, specify when ordering. I received the shims - thank you - and I completed installation and testing yesterday afternoon. I decided to start with the .003" shim, and I'm glad that I did. When the .003" shim was installed, there was just a slight resistance when closing the bolt, so I substituted the .002" shim and the resistance disappeared. I test fired the gun (77-22, in 22 magnum) at the range and it delivered a 7/8" group @ 100 yards, which is entirely satisfactory considering the prevailing wind conditions and ammo used (Hornady 30 gr. V-Max). Target grade 22 Magnum ammo is scarce at the moment... I consider the modification a success, and I'm also reassured to know that my rifle did not require substantial shimming in order to minimize the bolt clearance. Finally, I like the way that you have marked and packaged the shims. When last we corresponded I had completed several modifications to my vintage 1984 Ruger Model 77/22 that had not been shot until I became its proud owner. I installed your trigger kit, floated the barrel and installed your bolt shims. The vintage Burris scope I installed has been replaced with a Primary Arms 4-16X44mm scope, primarily to add more elevation for shots longer than 200 yards. I was disappointed that the Burris didn’t work for me as it enhanced the appearance of my “period piece” project. I’ve probably put five hundred rounds through the rifle and have gotten a good feel for how it shoots. As you no doubt realize, the bolt on the 77/22 is massive when compared to most .22LR rifles. This probably explains the heavy feel of the bolt as it is cycled. I’m hopeful that the bolt will continue to smooth and cycling will be easier as the round count builds. I got to the range yesterday for an hour of shooting. After refining my zero I shot two targets (five rounds each) that are worth passing on. I believe this performance is what can be expected if the system is working well. The best target was 0.29” extreme spread which was followed by 0.36”. I am extremely pleased with the 77/22’s performance following the modifications provided by you. I received the shim kit and Wolfe Springs within two or three days of ordering them. Thanks for the prompt service! Yesterday, I upgraded my Ruger GP 100 with these items--tolerances and fits were tight and these old arthritic fingers struggled a bit with the small shims, but I got all the polished, shimmed and springed pieces in place with a great degree of satisfaction. The action is now so smooth that I can't wait to get to the range next week. You can count on me as a "word-of-mouth" proponent of TriggerShims! My local gun shop ordered a Ruger SP101 for me and when it arrived I was shocked at the terrible trigger on the little gun. Besides having an over-weighted mainspring and trigger return spring, the action was rough and gritty. I already had a 10# Wolff mainspring and an 8# trigger return spring. I replaced the factory springs and immediately noticed a trigger-pull improvement but the action was still rough and gritty. I decided to do the SP101 Trigger Job that was posted online by Kevin Wilson to smooth things up. After doing so, the action was smoother but It wasn’t as nice as it could be. When looking at Kevin’s preliminary information he referred to installing hammer and trigger shims and listed your company as a source. I didn’t know if I wanted to go that far but after I had done all the sanding and polishing and re-springing the little revolver, I felt the trigger could still be better and shims could help. #RDA-Pak GS-30 Piece set gave me plenty of thickness options (and plus possible spares for other guns). Using the excellent video showing how to install both the trigger and hammer springs, I completed the installation in no time at all. I settled on .002 trigger shims and .008 hammer shims. The shims completed my trigger job. That final tweaking made a good trigger great. I feel the shims were the icing on the cake - no more rough and gritty action. To test my efforts, I took the little revolver to the range and cranked off 50 rounds of Federal American Eagle 130g ammo without a single malfunction. It performed exactly how I wanted: smoothly and accurately. I was amazed that a small amount of financial investment along with a little time, effort and good instruction, turned good gun into a sweet shooter. Lance, I received the shims today. The trigger shims worked great. The trigger was rubbing on the left side but now its smooth and doesn't rub. The hammer shims centered the hammer nicely and it seems to have sped up the hammer fall. The hammer dog shims seem to be a little thinner than I needed because the dog still has some play but it is ok. I checked the double-action trigger pull before and after installation and it came down 4 ounces, probably because the trigger isn't rubbing any more. The trigger pull is a lot smoother. I actually cut one more coil out of the hammer spring since the hammer seems to have less friction and falls plenty hard. It's a .327 Federal Magnum SP-101 so light hammer strikes aren't a problem. Thanks for the shims I'm happy with them. Hi Lance, the Hammer Shims came in yesterday. I installed them last night on my Ruger Match Champion and they work great. They are a little larger on the OD than the shims that came in the gun and this has really helped stabilize the hammer - no more rubbing on the frame and the pull weight came down about half a pound on my gauge. I am very pleased. Thanks for a great product! I recently ordered several packs of shims from you on January 12th. I appreciated you promptly handling my order and getting it in the mail to me. I have two GP100's and my newest is a GP100 Match Champion that was rubbing the frame and had too much side to side clearance with the factory hammer shims. (Smaller diameter than yours and .005" thick). Being a DIY'er I searched the web for similar experiences and saw hammer shims recommended on the Ruger forum website. Saw your hammer shim video on U-tube, went to your site and ordered the shims. Long story short, I installed a .007" & a .003" on the left side and a .003" on the right. Not perfectly centered, but very close. Also installed two .005" hammer dog shims. I really like how the revolver works now. The trigger pull is much smoother too. Thank you for offering a great selection of shims. First and foremost , the shim kits for 2 RDA work so well . They along with the spring kits have made the actions incredibly smoother and consistent . Even a Range Officer was amazed when I tested. Just a quick note in regard to the .003" shims I received today. They fit just perfectly and took side play out of the GP100 hammer. Great Product and Excellent Service - You are the kind of folks I like to do business with! Hi Lance, Installed trigger and hammer shims in the GP100 this weekend. I did also swap out hammer and trigger return springs with a Wolff spring kit in addition to polishing up the action. After measuring hammer play with a feeler gauge I put (2) .005 shims in and play is now only .003 with no rubbing of the hammer on the frame. Trigger took (2) .002 shims with about .002 play now. Smooth as butter. Very, very pleased with the results. Thanks! I just wanted to let you know how happy I am with your service and products. I have placed a few orders from your online store and I received my packages correctly, and quickly. Also I have used your Trigger, Hammer, and Dog Shims for the first time. Wow!! What a drastic improvement!.. In addition to polishing critical action parts and installation of your Wolff Spring Kit my Ruger GP100 feels like it had a $175 Action Job. Hi, Just a note: Installed your Trigger/Hammer Shims today in my SP101. Test fired gun: Perfect! Great products AND instructional video! Just wanted you to know! I received the shims for my GP 100 today in the mail and I just finished installing them into my gun. Everything fit perfectly! Thanks again for a great product and your quick service. The shims you sent me are just what I needed, my GP100 match champion is now like a fine oiled sewing machine! I can't thank you enough, God Bless, and I will be one of your customers for a long time! I would like to thank you for the quick shipping and a product that is of high quality. After the purchase of a new GP-100 I was very disappointed with all the play on the hammer and trigger. So after a Google search for Ruger hammer shims I came across your website with the excellent instructional video. I put all the shims in today and must say I'm now pleased with my new purchase. I have received the shims I ordered. Very fast delivery. The hammer on my new Ruger GP100 Wiley Clapp Edition was rubbing on one side so I installed the shims and the dog shims first. Installation was easy. I immediately noticed a slight reduction in DA pull weight (about 1/4 pound as measured by my Lyman gauge). I now have a very nice 9 pound DA and 4 pound SA pull. I have yet to install the trigger shims, but will do so in the future. Have my SP101 all done, nice! Used your Trigger and Hammer shims, and at your suggestion installed the 12# hammer mainspring and the 8# trigger return spring. I followed the “Trigger Job Guide” and de-burred and polished as noted. What a difference. Wow! The DA trigger pull is smooth and lighter. In SA, the trigger pull seems really too light. I can almost inadvertently fire it. Maybe 1.5# pull. Should I go back to the 10# original return spring? Again, thanks a bunch. Best thing that ever happened to my SP101. De-horned and used a gray ScotchBrite (7447) pad with a little oil to get the finish back. Perfect! Look into Eezox Lubricant. Seems to work great. Changed the return spring for the original 10# spring and it made all the difference. DA is still nice and smooth, SA much better now. Hello. Received and installed the shims today in my wife's Ruger SP101 357. The trigger and action are much smoother. This in combination with the Wolff reduced power trigger return and hammer springs have achieved what a $150.00 action job can do for about $25.00. I ordered a 4 pack of Trigger and Hammer Shims along with Wolff Reduced Power Springs for my Ruger SP-101, chambered in the Federal .327 magnum. I love Ruger products, but as you know some Ruger Revolvers somehow escape "Quality Control". Such was mine. A heavy hammer spring along with a not so sweet trigger action, made this gun uncomfortable to shoot. I took apart my new Ruger SP101 .22 LR today and wanted to report my results! I used a hone sparingly and used Mother's Mag & Aluminum polish and smoothed all mateing surfaces. action but misfired a few times using the double action. So...In my case anyhow, I was able to use a 10# hammer spring in my .22!!! I finally had the GP100 totally apart again, and installed the hammer dog shims that you so VERY generously sent to me. This .357 has been apart many times, as I cautiously did one tiny thing at a time, in the interest of "internal operational smoothness". I was being very cautious as I am not a gunsmith, and I have very little revolver experience. I am a retired machinist, so there are _SOME_ things that I understand. First of all, I closely inspected the shims. I liked 'em. They were very flat, and there we no burrs, tho outta habit I did swipe 'em across my HARD Arkansas stone. The Ruger was already real smooth, due to previous internal work that I had been doing. I'm happy to report that I can now say that the dog shims were 1 more step forward in my quest for a real slick GP100. The tactile difference, before and after, was small, but there was a positive happy improvement. I also intuitively feel that there may now be less wear on the hole in the dog, and the shaft that the dog rides upon. A "win-win".............eh? Lance, my shim kit arrived today and you wouldn't believe how excited I was! I tried all 3 sizes you sent (.002", .003", .005") and the .005" fit the best. Installing them was a breeze, and took less than 10 minutes all together. I was shocked at how much the DA trigger pull improved. It is now butter smooth and considerably lighter. I am amazed at how well they work. Thank you so much for sending me these! A couple of my shooting buddies have Ruger DA's and I will definitely recommend you to them. Hi Lance, The shim kit worked great for my Ruger Security Six. Easy to install using your instructions. My son and I could feel the difference in trigger pull while shooting at the range. Lance, Just got the shims, and spring kit today. Thanks. That was quick. Your video was a very helpful resource while I was installing both items. Much smoother pull now on my DA SP101. I'll pass your site on to a friend with a Super Redhawk that wants a smoother action. I have two Ruger SP101’s that both have trigger drag. The one I was really worried about was the .22lr that I thought would be a sweet shooter when I bought it. It had the heaviest trigger and hammer I’ve ever felt! I was relegated to firing single action as I couldn’t smooth out that rough trigger in double action. After tear down and polishing the internals and installing a new hammer spring, the results were better but I didn’t correct the trigger drag. THEN, I ordered your shim kit with the Wolfe trigger/hammer springs. Now the trigger spring with 8# was great and the 12# hammer was also good, the installation of the trigger shims made all the difference. Went to the range yesterday and put over 250 rounds through the .22lr SP101 8-rounder. I’ve got to say the difference with the trigger shims in aligning the trigger was the deal maker as to whether I would keep this weapon or trade it. Now it isn’t exactly as smooth as my Colt Diamondback but it is really close! I now love this weapon! Thanks for offering a quality product that saved buyer’s remorse on my Ruger. Hey Lance, I just wanted to thank you for all your help with the shims and springs you sent me last week. I got them yesterday and installed them last night. This is my first revolver ( Ruger SP101 4.2" ) and first time even removing the grip on one of these things let alone taking apart the trigger! Hi Lance, A short time ago I ordered some shims from you for my Ruger SP101. I thought their installation went well and that I was successful until I disassembled the revolver again and discovered that one of the hammer shims was never in it’s proper place. Don’t know where it had been, but it was loose and not around the hammer pivot pin. This afternoon when I tried to reinstall the hammer and shims I couldn’t get the shims to stay in alignment with the hole in the frame and hammer. I have a severe tremor in my right hand which doesn’t help, either. So, after I had the hammer out of the frame, I used a little grease to hold the shims in place and put the hammer pivot through the shims and hammer and put them together in the refrigerator freezer for an hour or so. The grease became stiff enough to hold the shims in place long enough for me to install them and hammer - on the first try !!! If any of your other customers are having similar difficulties, you might pass along this little tip. For some reason this revolver didn’t need any trigger shims, but I did install the hammer dog shims. Had no difficulty with them at all. Thank you for making these shims available. They came to my attention while watching a Youtube video about doing a trigger job on a Ruger SP101. I liked the idea, so that’s when I placed my order. Opening Day, Nov. 15 2011, Kevin is using a 7.5” Ruger Super Redhawk in .480 Ruger, 340 grain SWC Cast Bullet with gas check hand load. Leupold 2.5-8X Handgun scope, about 40 yard shot. Best purchase I have ever made in my entire life! AWESOME!! Wow! The hammer shims make a huge difference on my SP 101. Does the hammer rubbing the frame make that big of a difference? Before the washers my wife could hardly pull the trigger in double action but now she can pull it easily. I’m going to highly recommend these.... I didn’t even bother installing the trigger shims. GP100 - .005 Hammer & Trigger shims are perfect w/ the polished hammer & trigger. Perfect. Very tight & very smooth. SP101 - .009 Hammer & .005 trigger shims. .009 hammer shims did the trick. I first doubled-up to see if .010 dimension would work. No - wouldn't fit. .009 is perfect. All shims were softly ran on some 1500 then grit sandpaper per your recommendation, then polished on a t-shirt rag w/ some Mother's polish. With your shims and some polishing of the contact points on both revolvers, I swear I have some of the smoothest revolver actions around. Here`s a link to the Ruger forum thread in; "Ruger-Smithing"
I installed the shims in my super red hawk along with a lighter spring kit and some surface smoothing. I am not experiencing any light primer hits, and I attribute that to the shims preventing hammer rub on the frame (which was noticeable before the shims). I am getting ready to place an order for shims for my S&W L and N frame revolvers, but I need a special order. Instead of getting .003 and .005 shims with the 8 pack, can I please get .002 and .003? Thanks, I will be placing my order on-line in the next day or so. P.S. your videos are VERY helpful. Lance and Tammy The shims for my Ruger Redhawk arrived a few days ago and I am beyond thrilled about how they have improved the action of the gun. This is probably going to end up fairly long, but I am so impressed with your product I want others to know that they can order with full confidence that they are getting quality for their money. Ordering and delivery. First, thank you for the reasonable prices you charge, your prompt and courteous response to emails and your willingness to sell to us Canadians...and big bonus...no extra charge for speedy international delivery. Installation. Your excellent online videos gave me complete confidence I could install the shims properly the first time and it was a cinch. Result. I put a Wolff reduced power spring in at the same time, so I can't comment on trigger pull simply due to the shims, other than saying it is down around three pounds from the horrible heavy trigger the gun came with. But what I can attribute to the shims is the totally different feel of the gun. The double action pull has gone from gritty, loose and mushy to very smooth and consistent. As another person commented, it now feels like a well oiled machine. I never thought I would say or do this, but I got out a superbly smooth S&W revolver and did a side by side comparison. While the Smith had the Ruger beat on a light single action break, I can honestly say there is little difference now between the two on double action. Something I really didn't think was possible given that the Redhawk is a tank when it comes to shooting heavy loads. Bottom line, anyone can deal with confidence when buying your excellent product. I installed the springs and shims on my customers Ruger SP101. It is a .357 model. When I got the gun in for repair it had about a 7 lb DA pull and on the SA pull it was off the scale on my Lyman trigger pull gauge. After cleaning up the parts I put it back together. The test results were awesome. On the DA pull was at about 3 1/2 lbs and the SA pull it was at an incredible 5 1/2 lbs. This pistol belonged to an older gentleman and he was astounded at the results. There is no doubt I will be using your kits in the future. The shims for the hammer and trigger both worked as advertised. There was a substantial amount of movement on both the trigger and hammer before installation and the shim kits cleared these both up. As I stated you will hear from me again in the future. Hi Lance, I received and installed the shims and spring replacements. I'm so happy and satisfied with the results, I now have an awesome GP100 357 Magnum thanks to you. Hey Lance. I received my shim kit yesterday and installed them last night and WOW. I had previously performed a trigger job on my SP101 and replaced the springs and the trigger was much better than stock but there was something about it that just wasn't right and I couldn't quite figure it out. These shims completely changed it. The trigger pull is so smooth and consistent now that I can say I like it better than my Glock and 1911. Thank you. Lance, Received the shims and spring kit for my Security Six today. Already got it all installed and am very happy! Thanks! Lance & Tammy, I Received the SP101 springs in the mail yesterday.....I installed the Trigger Spring first then I installed the 9# Hammer Spring. All the forums say to start with the 10# Hammer Spring, but I thought if it didn't work right, it is easy to change. I took it back to my range with a variety of ammo and they all worked fine. I bookmarked your website in case I or someone else needs springs or shims. Great to do business with someone here in Michigan. Thank you- Orel C.
I received your trigger shims and have installed them. After doing some other polishing work, two of my Rugers are now smoother than many older Smiths I have shot. I will definitely be a repeat customer as I have numerous other Rugers which could benefit from your fine product. I found your website while surfing the web on ways to further tune the action of Rugers. I cannot remember on which forum I saw your name. However I have already passed information along to another friend about your product. Please keep up the good work and I look forward to purchasing from you again in the future. Lance, Had a chance to shot 50 rounds at 25 yards today, just to check things out. I had only 6 of the 8 shims and the replacement Wolff springs installed. The trigger was lighter than before and had no creep. The 10/22 was definitely better and a joy to shoot. Thanks for a good product. Hi Lance & Tammy....Received the shim kit today, (1/17/15) and installed. With all the after market items available for the Ruger 10/22, I can honestly say this is a must have. Great product, Loved your YouTube Trigger Shim Video. I'm tuning up my 10/22 target rifle, I'll surely come back to you folks if I need something. "Great Service" . A new customer , Lynn in Magalia Ca. Just installed the shims in my Ruger 10/22 using your video. Easy install with your excellent instructions. I also did some polishing of the internals. That together with the shims and new springs gave a light crisp trigger pull to my 20 year old rifle. I never knew what I was missing. Next I’ll be installing shims in my Henry 22LR. Greetings from the Looziana swamplands to ya, Mr. Lance and Miss Tammy! I am delighted to have received your warm & personal response to my having ordered a pair of your recoil buffers. It has been four decades since I had my hands on a .22LR rifle and I impulsively ordered a 10-22 iTac probably more because of it's economy and it's potential value for getting my wife out of the closet and pressing a trigger, and...well...just for fun. Several days with my head in 10-22 forums quickly demonstrated the flood of available upgrade options for this platform as well as a wide range of opinions on which aftermarket parts are most highly regarded. When searching "10-22 recoil buffers" it occurred to me that your personal presentation of your "Tuffer Buffer" complemented by your ad hominem outreach made it easy for me to order the buffer from you more than a week before the rifle will be in my hands. For better or worse I now sense another tack driver in process and it's on to best options for trigger jobs, bolts, charging handles, etc - and so much for my manly-man economy mouse plinker rationale! Lance and Tammy, I just wanted to take a minute and thank you both for the way you do business. I received my parts exactly as described and your online tutorial couldn't of been any easier to follow. I have no doubt however that had I encountered any stumbling blocks along the way, you would be right there with the customer service to back up the sale. I'm not a competition shooter, but I still have an appreciation for a smooth trigger pull. These are simple, affordable on any budget, effective upgrades that I for one think every ruger 10/22 owner should purchase for the consistency of the trigger pull alone. In conclusion, you guys rock it! Thanks again, from a new lifelong customer. Thanks to both you and Tammy for a great product, at a great price, as well as fantastic customer service. Add to that your exceptional videos, and you have a first rate operation. I installed your 24 shim kit into a spanking new "plain Jane" 10/22 carbine. Had plenty of trigger group play to contend with and with your kit eliminated all, and I mean all, of the play at the disconnector, sear and trigger. Difference was beyond night and day. Improved the quality, and function, of the rifle by an order of magnitude. I added Tech Sights and shimmed the trigger guard to remove that play. This produced groups a little larger than a nickel sized at 25 yds. Next, I added a Volquartsen target hammer. This brought the groups down to roughly the size of a penny at 25 yds, with some holes touching. Lastly, when I added your shim kit to take up the play in the disconnector (0.014"), sear (0.025") and trigger (0.016") the results were 5 shot groups at 25 yds, each producing one ragged dime sized hole. It truly turned the 10/22 into a tack driver. Your shim kit made a noticeably significant improvement to the accuracy of the 10/22. I went to Island Lake today and was able to hold dime sized 5 shot groups at 25 yds with iron sights. Turned the stock 10/22 into a pure tack driver. Marlin 60s be forewarned. Ordered a second 24 piece kit for my 10/22 TD. Thanks again, and by the way, thank you for "color coding" the shims, as I experimented with thickness combinations until it was spot on. Without your color coding, I would have worn out my calipers. I will be a customer as long as you offer your products and services. I just want to thank you again for the personal attention and great business practices. Like I said before, "In this day and age, it is refreshing to say the least". My product came extremely fast and was exactly what I ordered. To those who choose to read this review, do yourself a favor and do business with this company. Lance, originally went looking on the internet for upgrades for my new Ruger 10/22 and found many positive comments about your shims. I checked your web page and found all the various shims and parts I needed for my 10/22 along with the installation videos (absolutely great touch). I ordered the shims and together with the videos had my 10/22 fixed up perfectly in minutes first time. Can't say enough good things, oh wait. So later I started working on an old Marlin 25 bolt action 22 my Dad got in a pawn shop many years ago. When my Dad gave it to me it was beat up, very dirty and would not fire or extract. I took it apart and found a bent extractor and broken firing pin so I ordered parts and started thinking. The trigger and sear were very wobbly some by design and being 1971 vintage lots of wear so after the great results on the 10/22 trigger I thought shims would help this old dog. I did not find this gun listed on your web page but emailed you asking about the specific sizes I needed and you responded within a few hours. You offered to provide some slightly larger diameter shims than your regular stock and in a slightly different thickness. These custom diameters and thickness shims you could make per my request to fit my specific needs for this Marlin. I got the Marlin shims in the mail in a few days and and using the same techniques as the 10/22 had them installed in minutes. I could not be more pleased and as a Range officer at my local gun club I have contact with many shooters and folks that work on guns so I tell them about your products every time the subject comes up. I will absolutely come back every time I work on a gun for any shims I might need. With the ease of contacting you, the supurb customer/custom service, using paypal, and free shipping I can't see any better deal for my needs. I just wanted to let you know those shims worked great in my anodized aluminum 10/22 trigger guard. I had to order more because it took 3 of each on each side of the sear, disconnector, and trigger except the hammer which was already a snug fit. They really went in easy with your video to guide me and that slave pin worked great. I'm now going to do up my original plastic trigger guard with the kit I just ordered and have some spares. Will be doing business with you again and thanks for a great product. It can honestly be said that the products, instruction, service and follow-up, from TriggerShims.com is 1st class. Lance truly speaks from firsthand experience with end results as good if not better than sincerely stated. In our case we did a Volquartsen target hammer and TriggerShims.com shim kit modification to a Ruger 1990’s aluminum trigger housing along with a 2012 polymer housing. The TriggerShims.com shim kit sure helped with the modern polymer housing which was quite a bit looser in tolerance than the 1990’s aluminum unit. End result is a polymer trigger unit pull that started out at 6+ lbs down to 2-1/2 lbs. The aluminum housing was a real surprise. What started out at 7-lbs. is now a light and smooth 2-lbs. Lance & Tammy………. Keep up the good work. Hello, I found TriggerShims on YouTube. I placed my order and it was shipped next day, and I received my order in 4 days! My order was for a Volquartsen Hammer Kit and Trigger Shims for my New Ruger 10/22 Takedown. I used your YouTube video to assemble the kit with no hassle. I am Very Happy with the low trigger pull on my Ruger, the Exceptional Customer Service and follow thru by Lance and Tammy Shively. You will not be disappointed! Your shims made my 1022 Magnum a joy to shoot. I have friends who are in the process of ordering from you. Your web site was easy to find and well done too! I just installed the SS 24 shim kit along with the Wolff RP kit. Now, I did not meter the pull before and after but I can certainly feel the difference. But more importantly, I can feel that the solidness of the trigger action now that virtually all the play has been removed. As an amateur machinist I made use of a small micrometer and feeler gauges to speed the process up though they were not necessary. If you want a little better results than the 8 shim set then the 24 shim set is for you. It will take a lot more time but it is definitely worth your trouble. Last night I installed the target hammer and shim kit on my Ruger 10/22. I am totally amazed out how easy it was and how much it improved the trigger pull. I have invested a lot in my 22 with Hogue stock and great scope but your upgrade was the best thing I could do for my rifle. Thank you for the great quality parts and vast improvement on my Ruger. I will be using your parts for other projects and spreading the word at the range. Lance, I received the shims you sent to correct the endshake in my S&W model 10-6. I installed two of the .002" shims and they reduced the endshake down to the amount I wanted. I want to thank you for the quick shipping and the reasonable price for a quality product. I found your website while surfing for shims and was impressed with your guarantee of satisfaction, detailed description and how-to info on various products, and your very reasonable prices. After witnessing first hand your great service I've added you to my "bookmarks" and will be a repeat customer when tuning up my other guns. Thanks! Derald W.
Lance/Tammy, I just wanted to write and say thank you. I ordered your pivot pin shim 24 pack kit and an accuwedge. You guys were great about shipping quickly and communication so I knew that they were shipped so fast. They arrived quickly and in perfect shape. Install was really a breeze once you find the right combo of shims. That took care of any movement/noise from the front takedown pin. The accuwedge was perfect for the rear. If it matters, I needed .007 to tighten up the front. I was upgrading an older rifle with non matched receivers to a competition style build. The barrel and receivers were the only things not changed. After all was said and done, I loved the way the rifle turned out. The only issue to me was the noise from the slop in the receivers when handling the rifle. That is now completely gone and the rifle feels rock solid when handling. I had previously purchased a shim kit called the "X-Shim" kit. Not only was it the wrong approach to a fix but the shims were brightly colored in 4 different colors. Basically a no go. Unfortunately no pictures were provided with that kit so money was wasted. I should have gone with your kit in the first place but I had read some reviews stating that they wished the shims were black so they were not so visible. That was the primary reason for ordering the other kit. In reality these shims are nearly invisible and can only be seen when closely inspecting the front takedown pin area. Even then you really have to look for them. I love it when a product/products actually work and fill the desired need. Bravo on not only the parts but the excellent customer service. You have a happy customer. I originally bought the kit to have multiple sizes but also possibly share with anyone needing some. Instead, I will be keeping the rest for other rifles and I will send people that need shims your way. Thanks again. Hi Lance, I have received the Pivot Shims. They are precisely made. Now my upper and lower receiver fit very snugly thanks to your shims. Glad that I made the purchase. Thank You! Hi Lance, I took every thing apart (Charter Arms .44 Special) and did a good cleaning, only rust spot starting where the grip edge under the trigger screw on the safety side. "0000" steel wool & a touch up pen took care of that. Polished the Trigger Spring Ball & the Trigger Indent. A light coat of grease, and a few times reassembling the trigger with the shims. Three times actually, I used the .004 (Purple). Thanks for marking them. What a difference just that made. A lot smoother and less barrel movement when dry firing. Like a new gun only better. If it wasn't for seeing your video, I would of never have been able to see the difference in it. Thank you again. Another good product I have gotten from you. Fast shipping and a good deal. Now I have one of the smoothest actions on any Henry steel rifles around. I did have to double stack shims on the trigger and the hammer though. I hope that will be OK. Seems to work but haven't shot yet. Thank you again for your dedication to your work it shows. Hello Lance and Tammy, We received the items ordered; fast shipping, great products. Pleasure doing business with you folks. I actually heard about your products from a customer who wanted a trigger job preformed on their revolver; he's very satisfied with the revolver now that I reduced the pull weight and installed the shims. Easy ordering, fast shipping and a great product. Lance, I’m 100% satisfied with your shims and recommend your product whole heartedly to anyone who wishes to use them. I couldn’t ask for better service. For the price, the overall improvement is without a doubt the BEST money I’ve ever spent on an upgrade. In this day of everything being "Made in China", and the disappointments that come with it, just finding an American Made product is a rarity. Finding people and products like yours, makes me feel that we are not lost, after all. Found your site by surfing the net for trigger shims. I then looked at a few forums where people suggested your product. I ordered your shims for my revolver and they worked great. Better than I had thought. Your service was great and shipping time was the best I have ever seen, ordered/shipped almost instantly. I will be back for more!!!! Great product. Thank You!! !